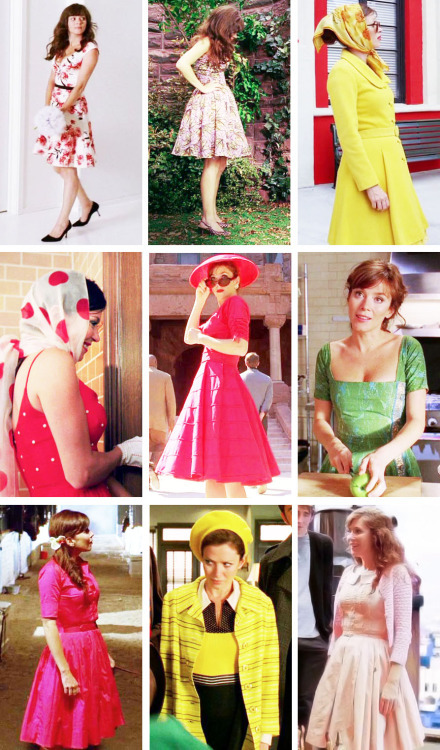 Anyone who knows me, knows that I love Pushing Daisies. It's one of my favorite shows of all time. Apart from the cute love story between Chuck (Anna Friel) and Ned (Lee Pace), the thing that stuck with me the most about the show was the bright, colorful characters' wardrobe centered around Ned's neutral clothing! Charlotte "Chuck" Charles's sense of style on the show still inspires me actually -- as you can see.